Beach Cottage in Lytham, Lancashire sleeps 6 people. 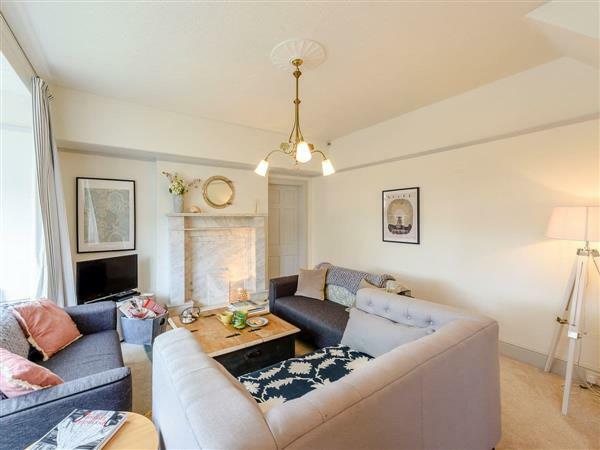 Beach Cottage in Lytham is a semi-detached, period cottage which is centrally located in the heart of vibrant and cosmopolitan Lytham, and is within walking distance of all the main wine bars, cafés, shops and restaurants. With the beach just at the end of the street; Beach Cottage is the perfect choice for both groups of friends and families looking to enjoy all that Lytham and the Fylde Coast has to offer. Lytham Green and Lytham Hall, a Grade I listed country house surrounded by parkland, can also be reached within a 10-minute walk. Slightly further afield, guests can enjoy a visit to the popular holiday resort of Blackpool, with its many attractions including Blackpool Pleasure Beach, the famous Blackpool Tower, Sandcastle Waterpark, Blackpool Zoo and Madame Tussauds. The Forest of Bowland (Area of Outstanding Natural Beauty) and the South Lakes can all be reached within an hour. The beach, shop, pub and restaurant are all 200 yards from Beach Cottage in Lytham. Living room: With 32 Smart TV, DVD player and a selection of DVDs. Dining room: With gas fire. Kitchen: With breakfast area, electric oven, gas hob, microwave, fridge/freezer, dishwasher, tiled floor and patio doors leading to garden. Bedroom 3: With double bed, Freeview TV and DVD player. Gas central heating, gas, electricity, bed linen, towels and Wi-Fi included. Travel cot. Welcome pack. Small, enclosed lawned garden with courtyard and garden furniture. Bike store. Garage with tumble dryer and parking for 1 car; additional on road parking. No smoking. Holidays at Beach Cottage run from Friday to Friday. Beach Cottage is in Lancashire; should you be on the lookout for a special offer, you can find all the special offers in Lancashire. It's always worth checking to see what is on offer at the moment. Do you want to holiday near Beach Cottage (UKC3111), you can see other cottages within 25 miles of Beach Cottage; have a look to find your perfect holiday location.